A highly diverse art practitioner, Windsor served in the U.S. Marine Corps as a combat illustrator, photographer, radio operator, and drill instructor in 1978. Upon leaving the service Windsor pursued work as a freelance illustrator. Because of his love of music, Windsor eventually auditioned and enrolled at San Diego State University and for a time studied classical voice, later performing professionally with the San Diego Opera Chorus. Windsor also holds the rank of 4th Dan Black Belt in Kempo Karate after over 15 years of study and has taught kids and adults in the art of self-defense for over seven years. 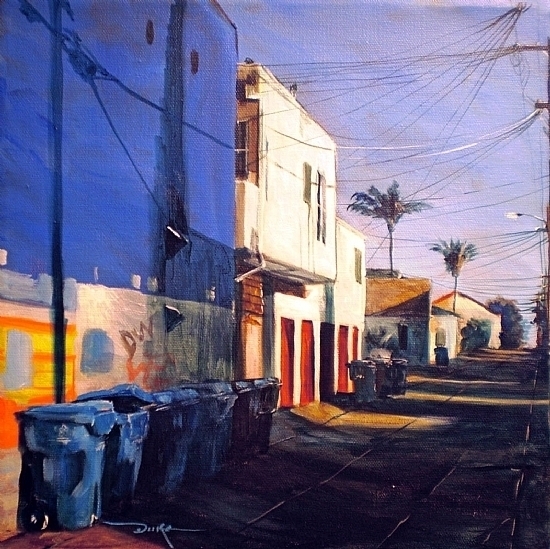 Windsor opened his first art studio in San Diego’s Historic Gaslamp Quarter in 1994. Since then he has developed his art throughout a wide range of media and genres. He has produced a variety of quality portrait commissions, military historical works, contemporary landscapes as well as most recently abstract expressionism. Windsor’s mastery of a variety of media including pastels, oils, acrylic, watercolors, clay, lino-cut block prints, and found objects has propelled Windsor into a respected place as “Master Artist” among his peers. 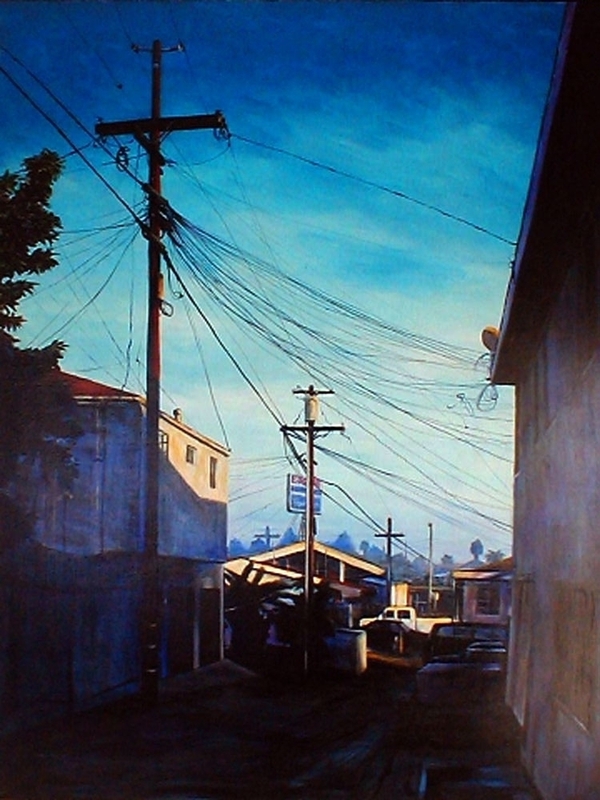 Windsor’s ever-popular Urban-Scapes “Alleys of North Park Series,” which began in 1999, had received numerous awards from juried shows and invitational museum exhibitions. They have been included in many group shows and corporate venues in Southern California. His works are held in many private and corporate collections throughout the U.S. and in Europe. Windsor has been developing his art even further by experimenting with new, groundbreaking non-representational works and methods. Adding to his continued growth, Windsor is still embarking on new works and challenges by entering into new territories with experimentation in found objects, mixed media and experimenting in printmaking, sculpture and works on paper. Windsor’s studio is located in the community of Lemon Grove, CA. Sanah is far from a novice to art, as she was natured since childhood in art culture from a family of artists. Hailing from New York City, art was inescapable. She found her passion while attending Washington Irving High school, where she began to dabble in Photography and Art. She was selected to participate in the Scholastic Art and Writing awards, where she won the 1st place award. After graduating at the top of her high school class, it was destined for Sanah to attend the world renown Fashion Institute of Technology in New York City, majoring in Fashion Photography and Fine Arts. In October 2001, Sanah moved from New York to Fort Worth Texas. In 2004, she joined the Potters House Church. The ministry of Bishop TD Jakes changed her life forever! She had a fresh new outlook on her purpose as an artist and decided to pursue it with relentless passion. The Vision and Business Idea of Salvation Thru Art was a divine move for her and gave her an opportunity to display all of her artistic gifts. Salvation Thru Arts mission is to reach people from all walks of life thru art while showing the love of Jesus Christ. Sanah has made it a signature move to always create pieces having to do with Jesus in her paintings. 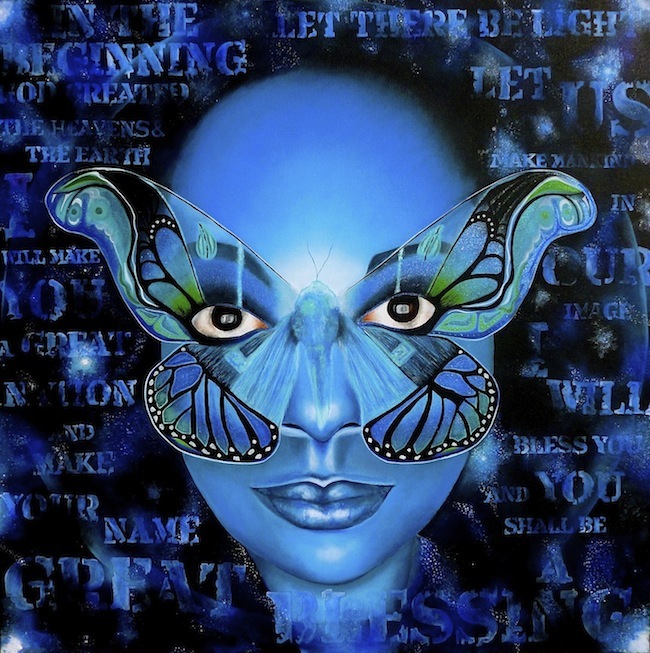 Sanah creates paintings using a wide range of materials including acrylic paint, fabrics, buttons, beads, scrapbook paper and many other found objects while also using personalized quotes, poetry and scriptures in some of her work. Sanah gleans inspiration from fabrics and the vintage era, she is obsessed with color and likes to call her work extremely unique and playful. Sanah also has an online store where she sells her art work and other small crafts on Etsy . The store is called ” A WOMAN WITH A BRUSH” Sanah has worked teaching art classes to people of all ages at the Social Art Studio in Richardson, Texas. And is currently working at Colors to Cocktails Art Studio in Hurst, Texas as an art instructor. She also works for the Birdville Independent School District and in Fort Worth at the Prime Prep Charter school as an Art Instructor. 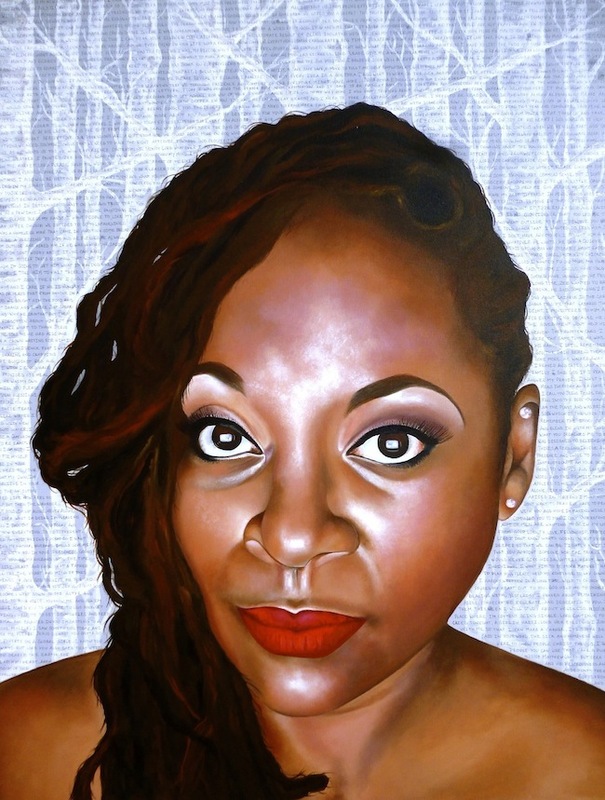 Sanah can be found exhibiting her art work in a number of shows around the Dallas/Fort Worth area. You can also find The Woman with the Brush, as an exhibitor at the local Bridal Shows around the Dallas/Fort Worth Area. Her gift and love for portraits are used to create Custom Wedding Portraits and what she likes to call Guest Book Alternatives.